Botanical Name: Grindelia camporum, G. cuneifolia, G. squarrosa. Other Common Names: Gum Plant, gum Weed, tar Weed. Habitat: The plant is indigenous to the southwestern part of the United States of America and Mexico. It is found in prairies, plains and along the sides of roads. 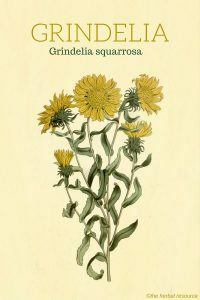 Description: Grindelia is a perennial herb with leafy stems that attain the height of up to three feet. It has yellow flowers that are surrounded by bracts, which produce a resinous substance. Plant Parts Used: Dried Aerial parts. The aerial parts of the plant are plucked before the flower buds open, to be dried as quickly as possible under the sun. 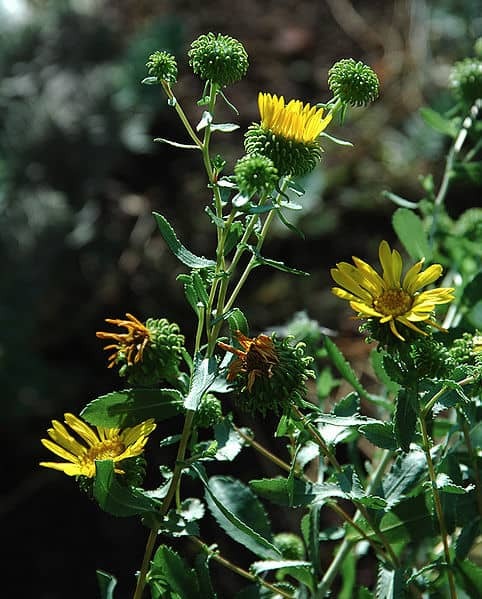 Grindelia has a calming effect on the heart muscles, which makes it effective in the natural treatment of asthma and bronchial conditions, particularly when these are linked with an increase in the rate at which the heart beats and nervous response. It is also used an herbal remedy for whooping cough and respiratory catarrh. It is a potent expectorant, which helps clear up severe congestion that occurs in the case of chronic bronchitis, asthma and emphysema. In addition, it is used as an antispasmodic and a urinary tract disinfectant. The latter belong to the genus of Toxicodendron and contain a strong resin, urushiol, which causes a severe allergic reaction in case of contact with skin. 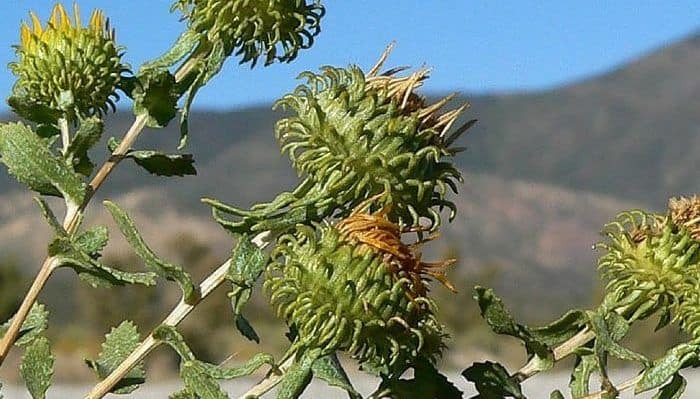 The plant was used for this purpose by the Native Americans and also in pharmaceutical medications in the early 1900’s. Application of the tincture on the affected area will provide relief. Topical preparation of this herb can also be used to soothe burns, insect bites, and skin rashes. The active compounds in the herb include resins; flavonoids such as kumatakenin and acacetin; and diterpenes of the grindelane type. 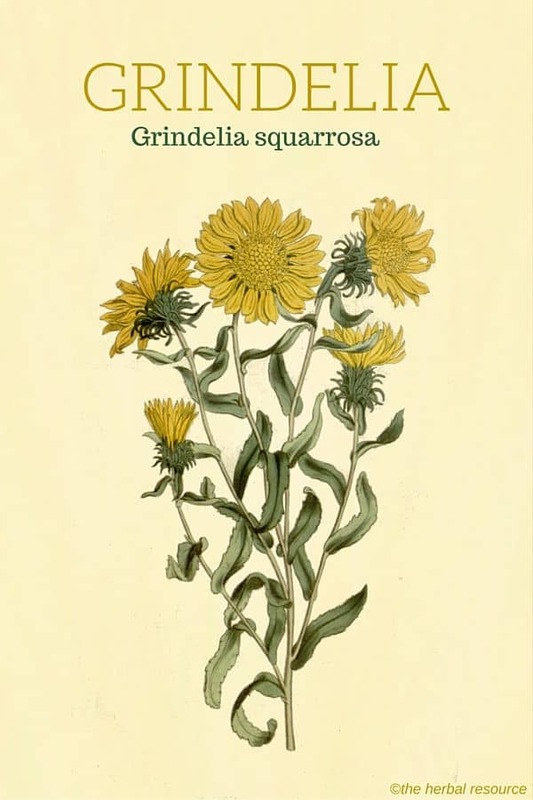 Grindelia can be consumed as an infusion, which can be easily prepared by boiling one cup of water and soaking one teaspoon of the dried herb in the water for ten to fifteen minutes. The infusion should be consumed thrice a day. Alternatively, in the form of tincture, 1-2 ml should be taken three times a day. If taken in large doses, it may produce irritation in the stomach or kidney. Also, for purposes of internal usage, grindelia should be consumed under the direction and supervision of a qualified healthcare provider.